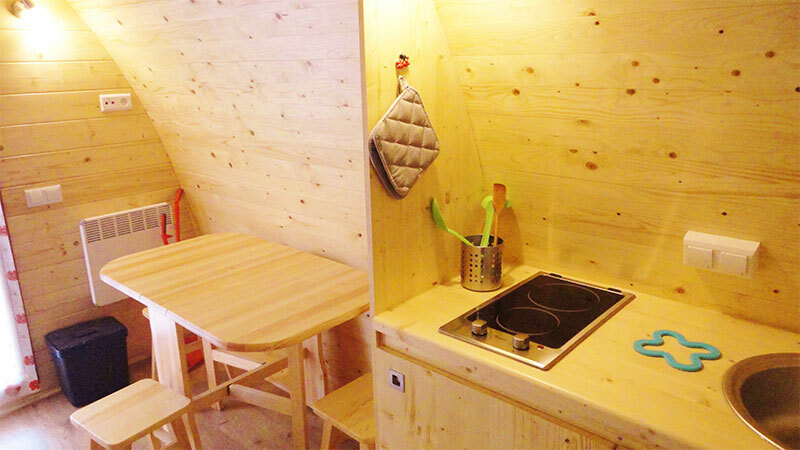 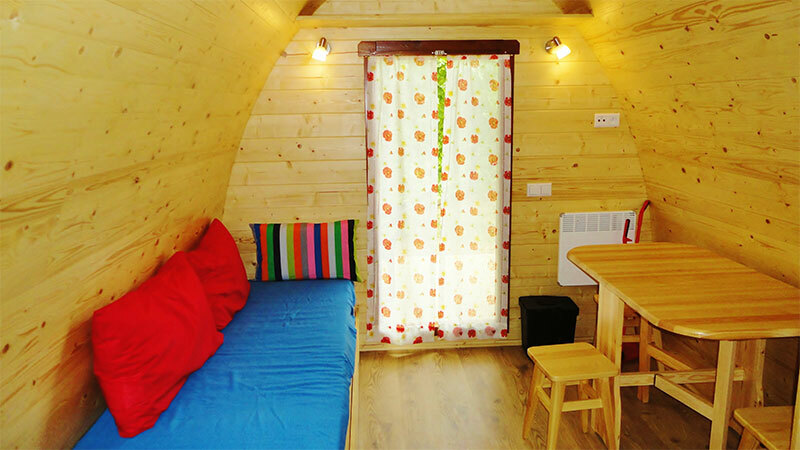 Entirely made from wood, modern, cozy and ecological. 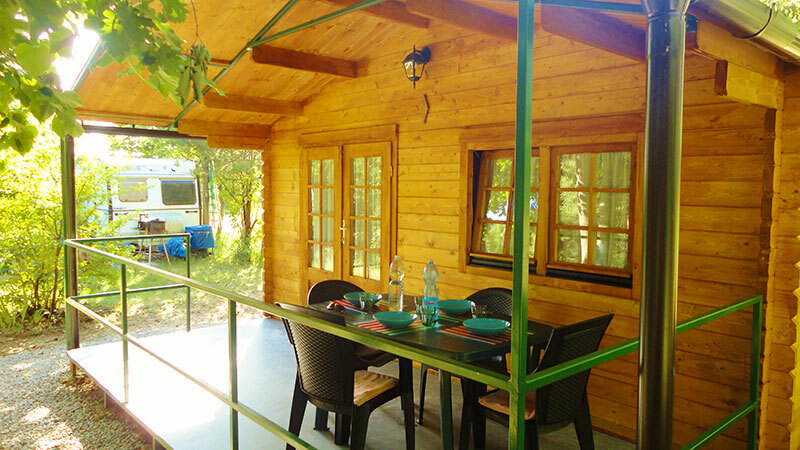 Dimensions: 6,30m X 3,00m + porch. 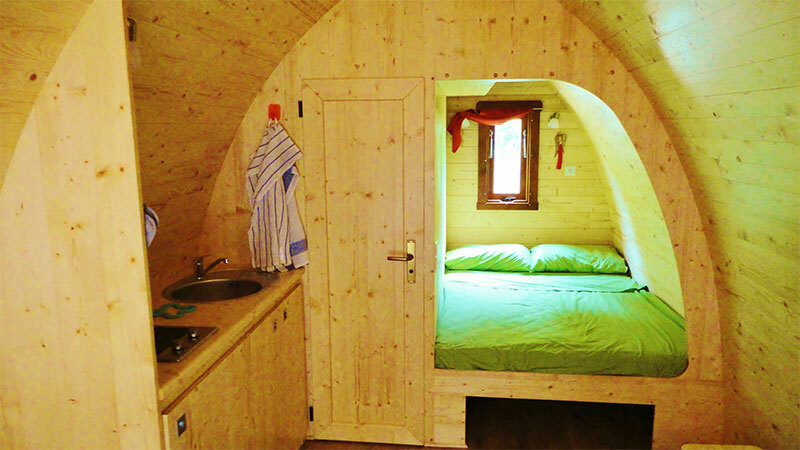 For 2 persons + 2 two additional places in sofa-bed. 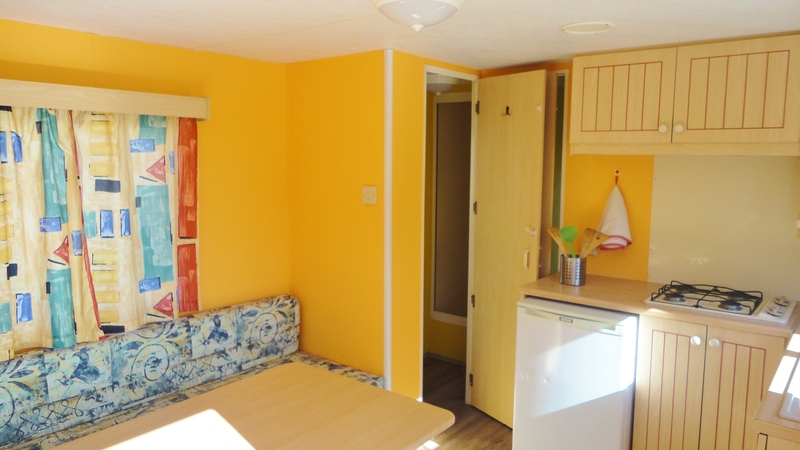 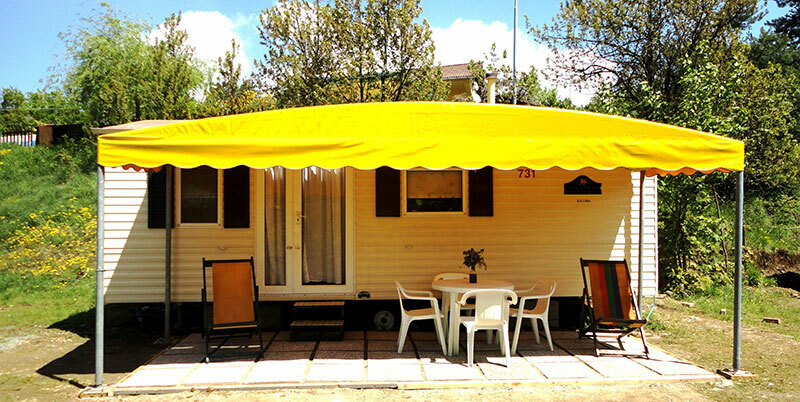 Fully equipped mobile-homes. 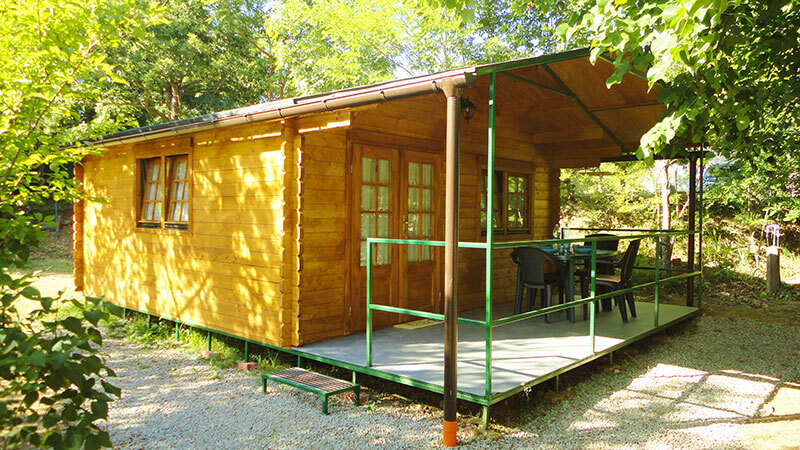 Dimensions: 7,30m X 3,00m + porch. 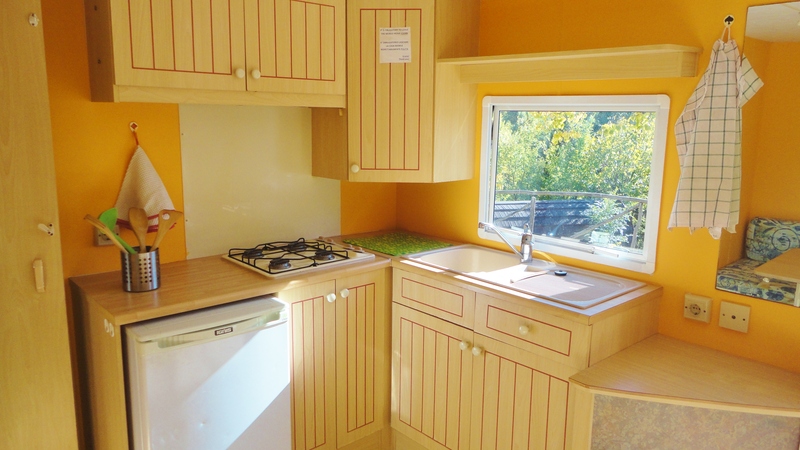 For 4 persons in two bedrooms. 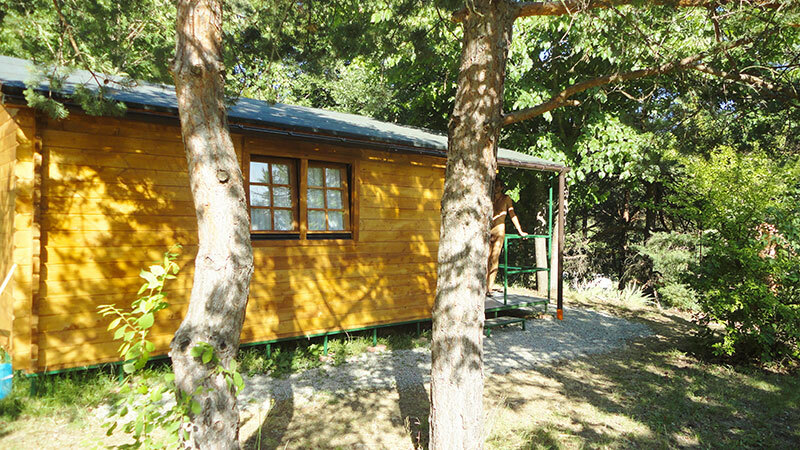 Two brand new and modern wooden chalets: one of 25 m2 + 10 m2 of covered veranda and one of 36 m2 + 12 m2 of covered veranda. 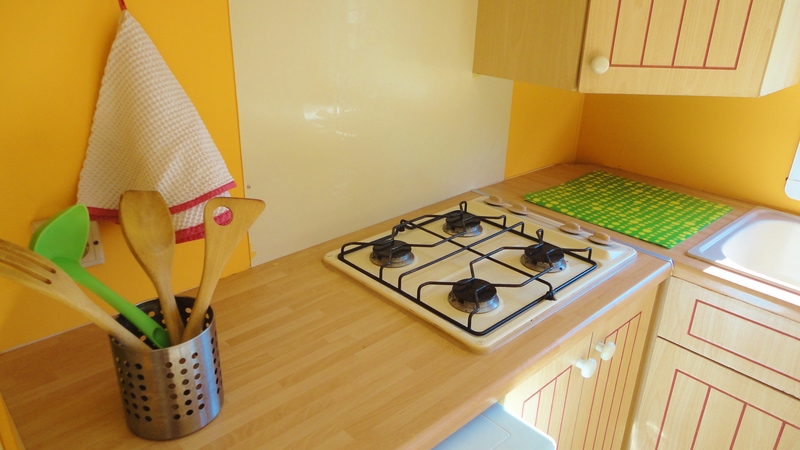 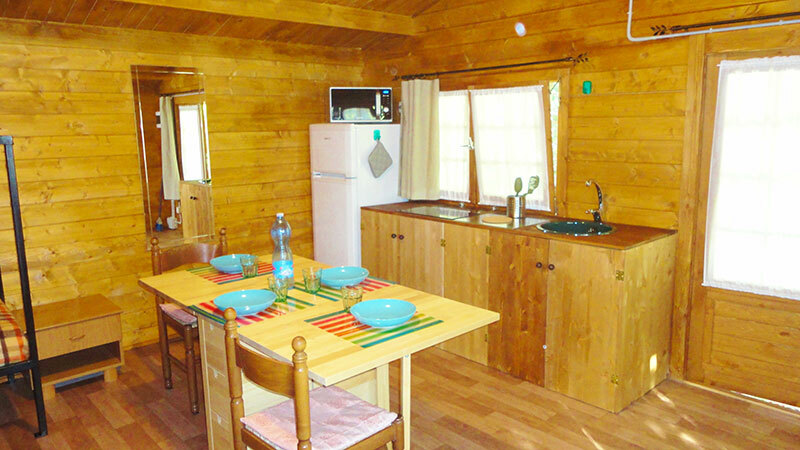 Both facilities are suitable for accommodating up to 4 people. 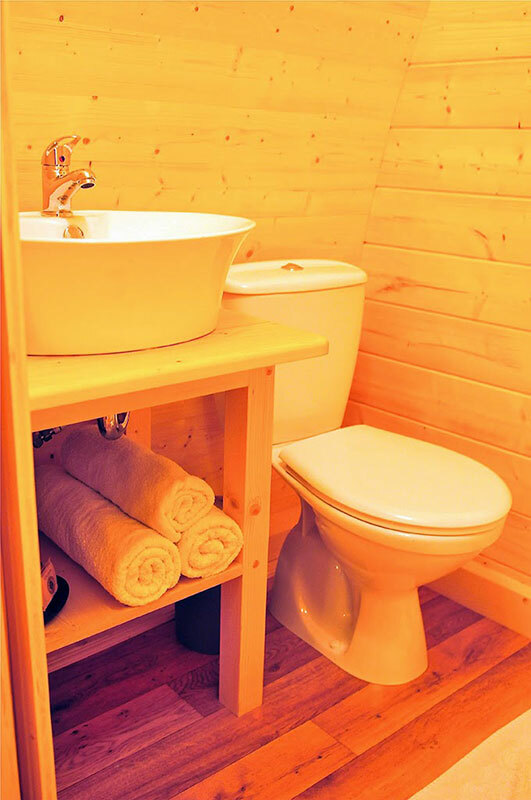 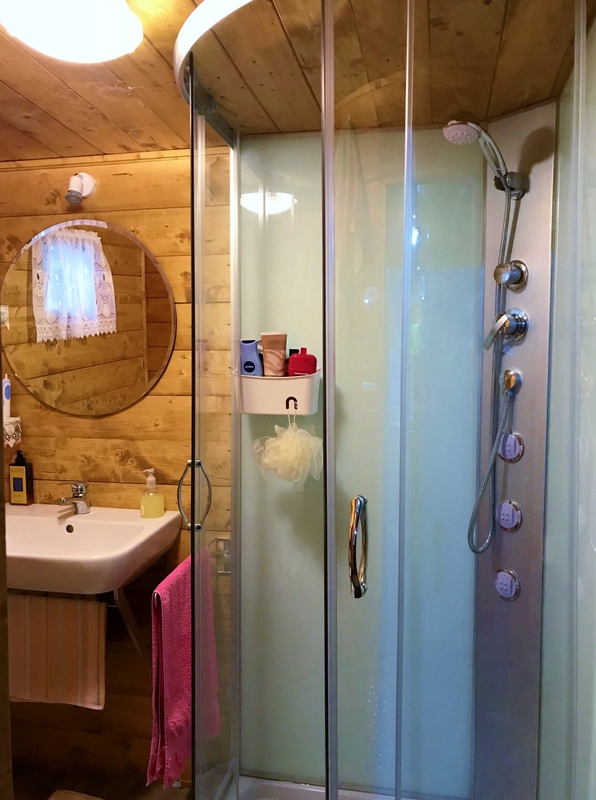 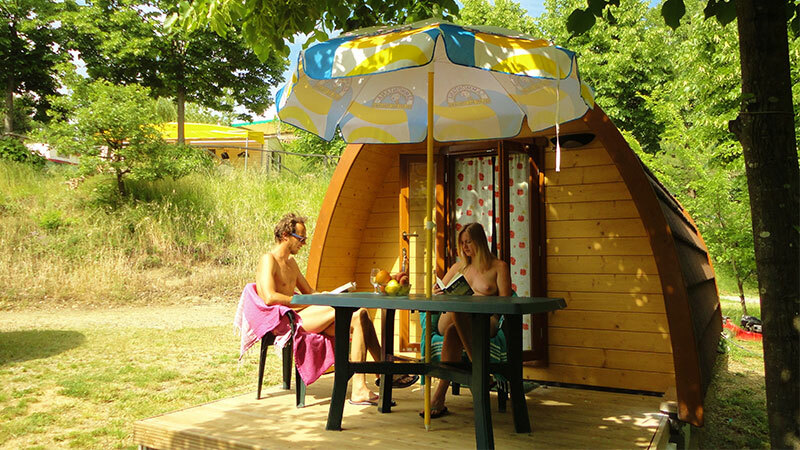 The chalets are equipped with a full bathroom and in a quiet location with great privacy.